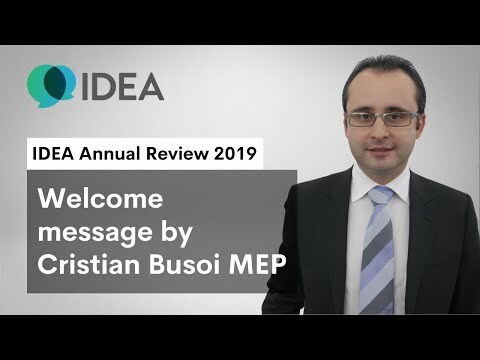 The European Parliament in Brussels hosted the fifth Annual Review of the IDEA Project on 25 February 2019. The event, hosted by MEPs Julie Girling, Françoise Grossetête and Cristian Busoi, gave the opportunity for all those involved in this multi-stakeholder project to provide updates on the progress that has been made. At the Annual Review, participants heard about progress on risk assessment for fragrance allergens (QRA2), early-alert systems, and replacement of animal testing. Presenters included Professor Jim Bridges, Emeritus Professor of Toxicology and Environmental Health and Chair of the IDEA Supervisory Group, Prof Dr Thomas Rustemeyer of the IDEA Supervisory Group, IFRA Scientific Director Dr Matthias Vey, and Salvatore d’Acunto of the European Commission, who gave the concluding remarks.